‘You’ve never walked in that man’s shoes or saw things through his eyes Or stood and watched with helpless hands while the heart inside you dies. Some were poor some were kings and some were masters of the arts.But in their shame they’re all the same, these men with broken hearts. So help your brother along the road no matter where he starts. For the God that made you, made them too. These men with broken hearts! Hank Williams may have written, but it was Elvis who took these words to a whole new level. For me brokenness and worship are intertwined. These places of brokenness bring us to the cross and push us towards resurrection. This is because ‘we do not raise ourselves; we are raised’ (Eugene Peterson, Christ Plays in Ten Thousand Places. 2005:231). I’m not sure why these particular words affect me the way they do. It’s probably because I understand, to some degree, the deep well from which these words are drawn. In recognising that we are undone (Isaiah 6:5), the pride within us can no longer be an enemy to the gracious “Yes” of God, in Christ (Jn.15), which stands for us, and the shadow of His “no”, which exists for our sake. 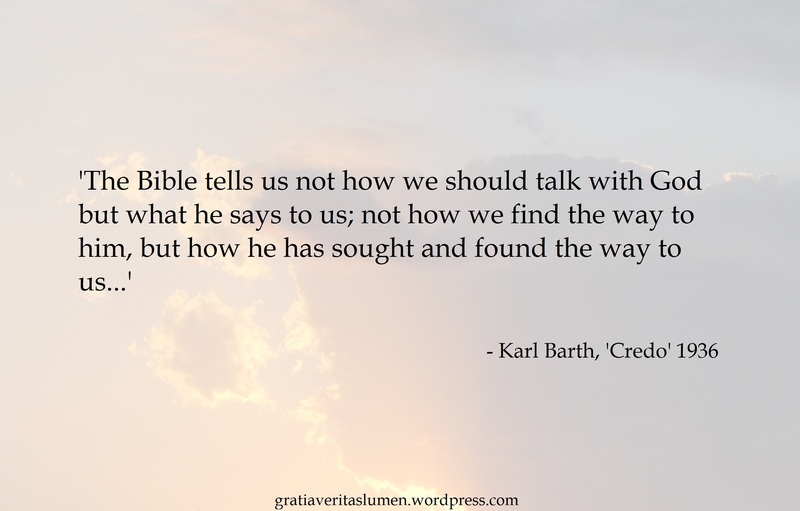 (Karl Barth/St. Francis of Assisi/ Lk.10:25). Originally published, 27th May 2013. Wrestle with quiet inner rage? As they turn their backs and close the outer gate. Fist drawn, red faced, with flooding eyes, fight like an animal stuck in a cage? Downward spiral of a soul thrown towards the abyss. Why did they hate me so much? What great benefit fell upon them that my tears would bring them joy? A nothing, my name expendable. Springs forth from unholy happiness. What makes a grown man fall to his knees? What makes the raging innocent, find eternal peace? Found this, thought it was cool, decided to share it. Tribute to Rich Mullins: Third day and Brandon Heath. Originally posted, 11th June 2013. …in light of the Bible. 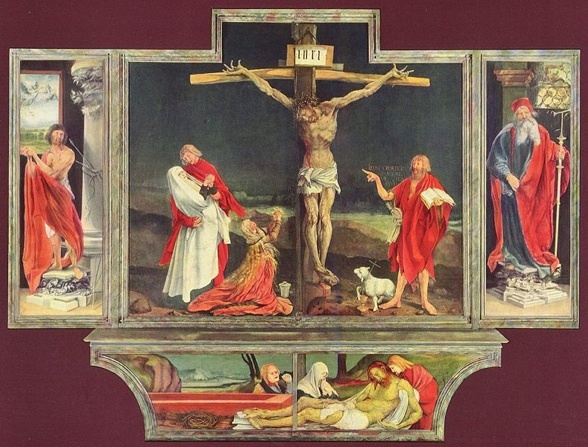 From the mind of Martin Luther, the desk of Karl Barth and the easel of Matthias Grünewald. My daughter, who has been homeschooled for the majority of her education, is doing her higher school certificate this year and she’s starting to feel the pressure. In fact, we all are. In passing one day, I randomly encouraged her to “be like Maverick and engage.” Understanding the context of the reference, she smiled back. As I am known to do from time to time, I started to think a bit deeper about the meaning of those words. At the end of Top Gun (1986), Maverick sits waiting as back-up. He’s in an F-14, waiting as “ready-five” or ”ready-alert“, things don’t go well for the team and he’s then called into the fight. Once he gets there, he wavers. At this point in time he has a choice whether to engage or disengage. He chooses to engage. Although Maverick (Pete Mitchell – Tom Cruise) and Chappy (Louis Gossett Jr.) are fictional characters, there are sound examples throughout history of men and women, who were called into the fight. One of those was Winston Churchill. At the age of 65, after many years of being dismissed for his warnings about the state of the world, he was called into the fight. He had the same choice as Maverick and Chappy. Engage or disengage. He chose to engage. You have a God-given, grace enabled freedom, and you are called upon by God to live that out. Engage in life with Him through Jesus Christ, and engage in life with others. This freedom comes with responsibility; His grace confronts us with a choice. We choose daily, whether to invite God into our decisions, and be for others or for ourselves. That choice can be tough. Faith can be tough. But we don’t put our faith in our circumstances. We don’t put our faith in faith. We put our faith in God, learning from that which He has given and anticipating where He will guide us, based on what He’s given and already done in the past for us. We have a history with God, even if we don’t want to acknowledge it. We are summoned to ‘trust in the Lord with all our heart, [to] lean not on our own understanding, [to] submit all things to Him, and he will make our paths straight.’ (Proverbs 3:5-6). ‘In me it is dark, but with you there is light. I am lonely, but you do not abandon me. I am faint-hearted, but from you comes my help. I am restless, but with you is peace. In me is bitterness, but with you is patience. So whatever we might meet in the coming day, be like Maverick and engage. Be like Churchill and engage. Be like Bonhoeffer and engage. Ultimately, be like Christ and engage. Stand with Christ and engage. They could have chosen differently, refused the fight, and disengaged entirely, but they chose not to. As a result, we are confronted by their example. [i] In this statement, I’m drawing from Karl Barth. It was the numbing of my face, as I walked against you in the dark. Until the night was banished by blurred street lights. Even when your presence was as cold as ice. Lifted sighs with tender care. Hinting at better days, beyond the haze of a child’s eyes once filled with tears. That empty bottles never healed any man’s broken heart. I’ve not forgotten what might have been lost. and ein feste burg ist unser Gott [i]. [i] A Mighty Fortress Is Our God.